DAVID LE/Staff photo. 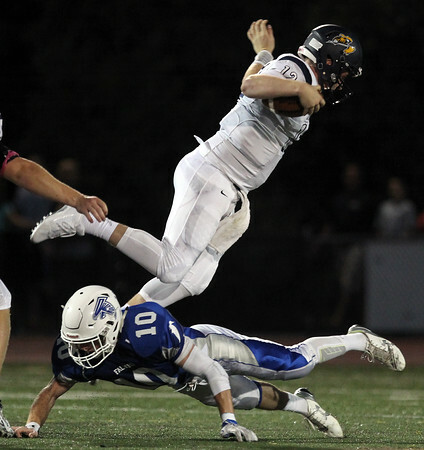 Danvers junior safety Matt Andreas makes a lunging tackle that completely upends Lynnfield quarterback Jake McHugh (12). 9/19/15.